Santiago Bluguermann/GettyGeneration Z is rewriting the playbook for higher education. The changes reflect Generation Z’s digital upbringing. And now that the oldest Gen Zers are attending college, they’re rewriting the playbook for higher education. Kraft’s methods aren’t the only changes at Ohio State. According to The Times, Ohio State issued 11,000 iPads to incoming students this year and designated 42 courses as “iPad required.” And the school is designing an app that students will use to plan and schedule their courses, check their grades, and even campus maps and bus routes all in one. The changes reflect how Generation Z is diverging from the millennial generation. 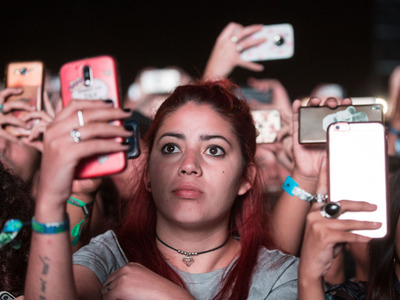 A full 95% of American teenagers today have access to a smartphone, and 45% of teens said they’re online “almost constantly,” according to a Pew Research Center survey. Teenagers today spend an average of two and a half hours a day on their phones, according to psychologist Jean Twenge. As Generation Z continues to come of age, it seems clear that colleges are going to have to adapt to their students’ changing behaviours.